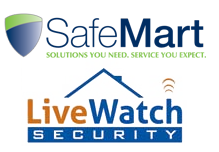 Setting up a good surveillance system at home can be costly. Aside from buying the actual devices, you have to subscribe to expensive monitoring plans just to make sure your home is safe. For someone who is on a tight budget but still wants to have his home secured, this can be a problem. However, if you have some spare Android or iOS devices lying around at home, Presence can be the solution you’re looking for. 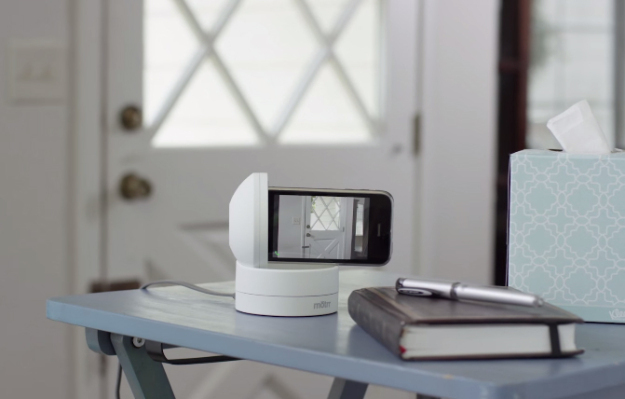 Presence is a free app that can turn your old tablet or phone into an effective home security camera. The app includes motion detection. Any movement it notices on its screen will be sent to you as notifications. You can log in to your account to check out what’s happening at home. There’s also an option for you to adjust the sensitivity of your camera’s motion detector. In case you want to record the event, you only need to tap the record button and Presence can capture it in both picture and video. You can set how long you want the app to keep recording. The app also includes an option for you to communicate with your loved one at home or to call the attention of an intruder using the two way video conferencing feature it comes with. You can set up several cameras into a single app. The app can allow you to dim your device without turning the camera off. This helps make your surveillance more discreet. By downloading and using Presence, you are automatically given a free 50 MB worth of videos and pictures. In case you reached your limit, the oldest videos on your file get deleted to allow more space. If you think you’ll need more than 50MB, you can upgrade with Presence Video Pro and receive 5GB of recording space. While the Presence app can help keep an eye on your home, its creator, People Power, decided to offer another effective and comprehensive option for you. It included a number of sensors and a hub to turn the Presence app to a security pack. This upgrade went through successful crowdfunding at Indiegogo. 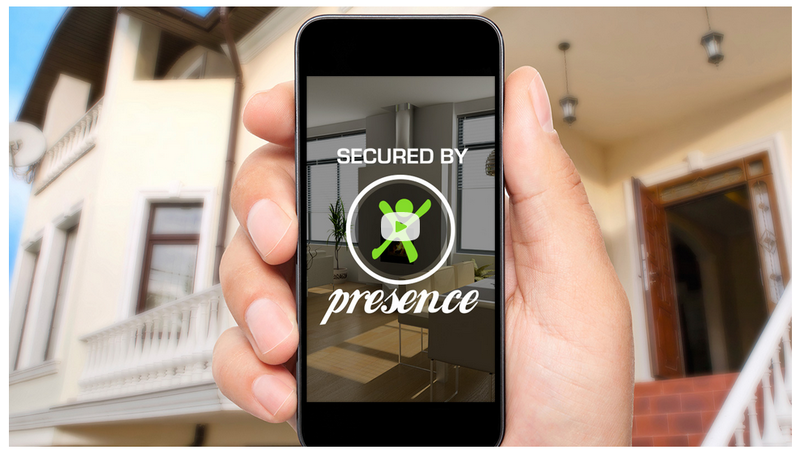 Presence Security retains the same reliable app to let you see what happens at home while you are away. It doesn’t require you to pay any monthly fees or tie you up with long contracts. Presence Security is a DIY system. Setting it up on your home is very direct. You simply need to turn on the devices, pair them and you’re good to go. 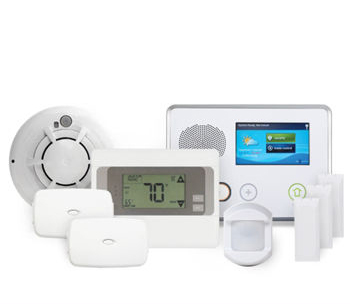 Unlike others, each Presence Security device can communicate through Zigbee. This means that you have to keep them connected to your router at all times. Its interface lets you name each of your sensors so you won’t get confused in case one of them detects a suspicious movement. There are four systems from which you can set your system to. It includes Home, Away, Sleep and Vacation mode. You have the option to share your camera feeds to your friends who also have the app. You can share all or one of your devices. When Presence detects something out of the ordinary, your friends will be able to receive notifications as well. Presence Security comes in four different packages. The most affordable of these four is the Presence Security Entry Pack. It includes two entry sensors, a single motion sensor and the hub or the presence gateway. You can get this at $199.95. The entry sensor is a two-piece device which you have to stick to either your door or your window. 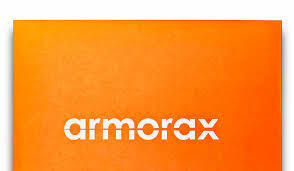 The motion sensor, on the other hand, uses infrared to monitor any movements at home, both in the morning and at night. The sensors and the hub come with a plastic finish. The water sensor is an effective device that can alert you when there is suspected water leak or if your dog’s water bowl gets empty. Meanwhile, the touch sensor, as the name implies, monitors for any suspicious access to your safe or your jewelry box. There is also the temperature sensor that can notify you for extreme fluctuations in your home temperature. 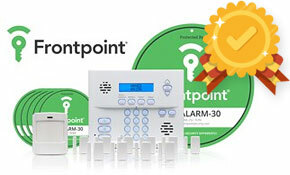 Presence Security is a scalable system which means you can add extra devices if you want. An additional entry sensor, for one, can be purchased at $34.95 while an extra temperature sensor can be purchased at the same price. These extra sensors, however, will not be able to function with the app alone. You have to buy one of Presence Security pack that includes the hub. Also, the Presence app still comes free for all the packages so you won’t need to hand in an extra amount just to get a security camera. If you have spare Android phones at home, you simply have to install the app and you’ll get relatively the same features of a surveillance camera. One important note to remember is to keep your devices connected to a power source to assure that they’ll work continuously. Presence doesn’t have its own IFTTT channel or even its integration but the app can still allow you to set your own rules. You can program your system to notify you in case you forgot to lock your back door if you’re on away mode. You can also do the same for water leaks or if your freezer is left open. You can buy Presence Security through their online store. The app can be downloaded through Google Play and iTunes for free. Other than the app, you can also access your camera and security system by using a browser and logging in at Presence. Presence indicates that the phone needs to have access to a constant power source. Does it have to be plugged into an outlet or could I use a power bank? have you guys ever run into the same problem I’ve had for months? Or do i just live with it as others.the phones just won’t hook up. they both read ok –they read themselves , but a vid. or picture does not transfer. I’ve tried your sigs– it sure wold be nice to talk to someone other than a computer.